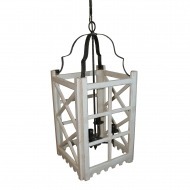 Savannah Pendant Light - White x White - Antique and Fine Decor for the Home. 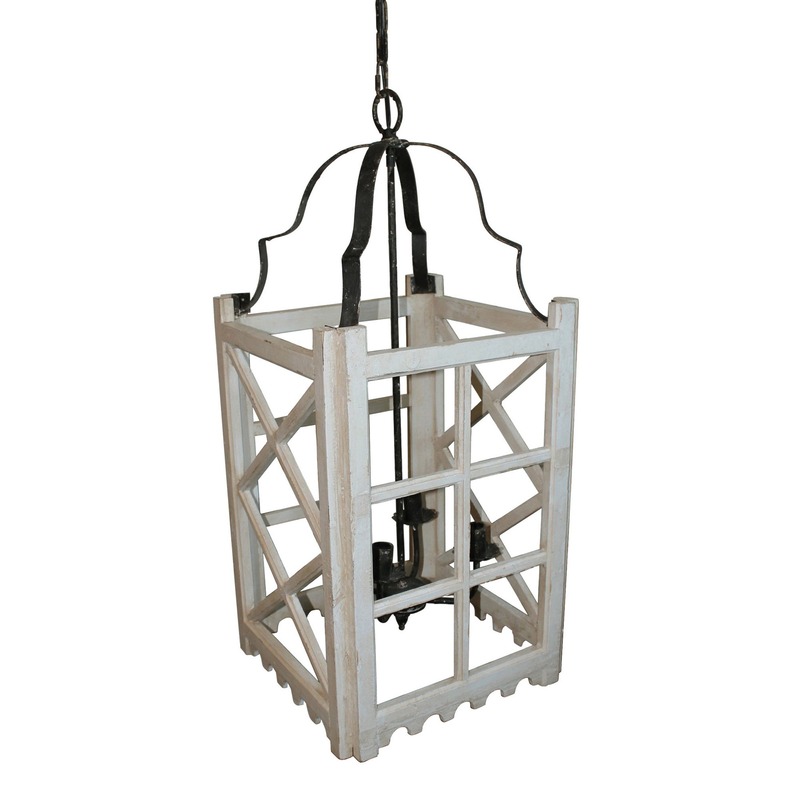 Pendant light made of wood with a multi-layer hand applied finish in lightly distressed off white. 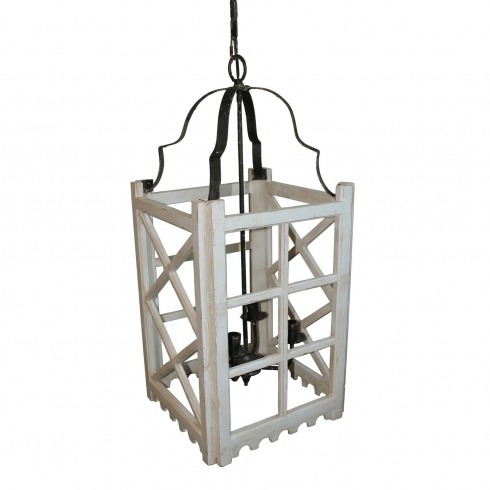 Rustic finish dark iron accents, chain and canopy. 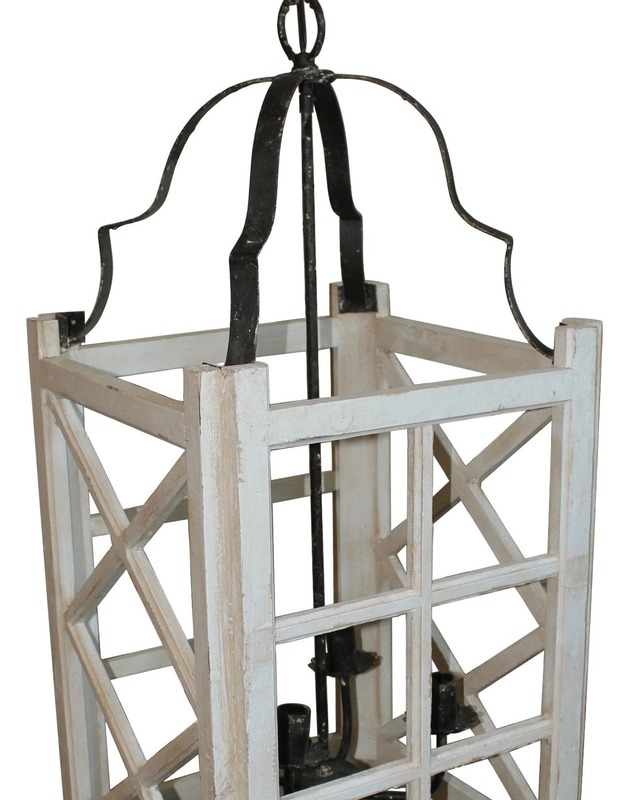 Four 40W max candelabra bulbs.